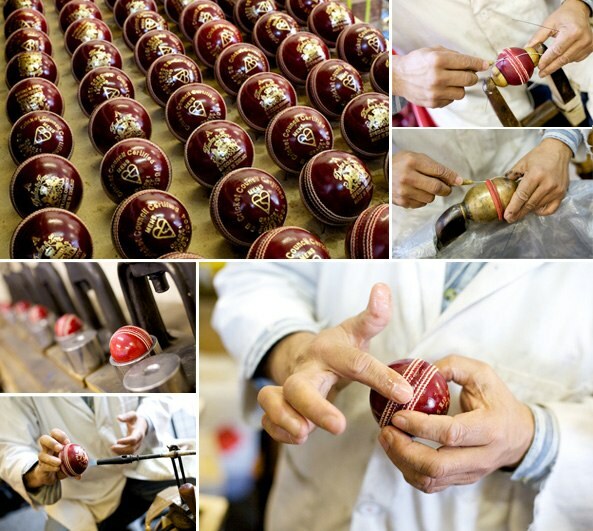 ABOUT DUKES CRICKET BALLS >> From the very top model as used exclusively in UK Test Matches to our junior model used in schools cricket, the dedication to quality is relentless. Whilst we firmly believe that a hand stitched ball represents the original and true concept of the best type of ball for cricket, we have also more recently invested a lot of time and resources to develop a superior range of machine stitched balls for Countries with very harsh playing conditions such as Australia and South Africa. These products are currently being tested in such conditions with positive reports. Joint Venture production facilities have been established in Australia and Pakistan with South Africa and India at an advanced stage of development. The object is to produce the right product, in the right place at the right price! The very latest in leather technology has been embraced to keep ahead of the market. A number of other improved production processes are constantly being introduced and whilst not obvious to the naked eye, the resulting good shape retention and feel on the bat are appreciated by good cricketers. It is no accident that DUKES is selected for use in test matches, top level first class cricket and most premier level leagues in England. All this is backed by first class service.